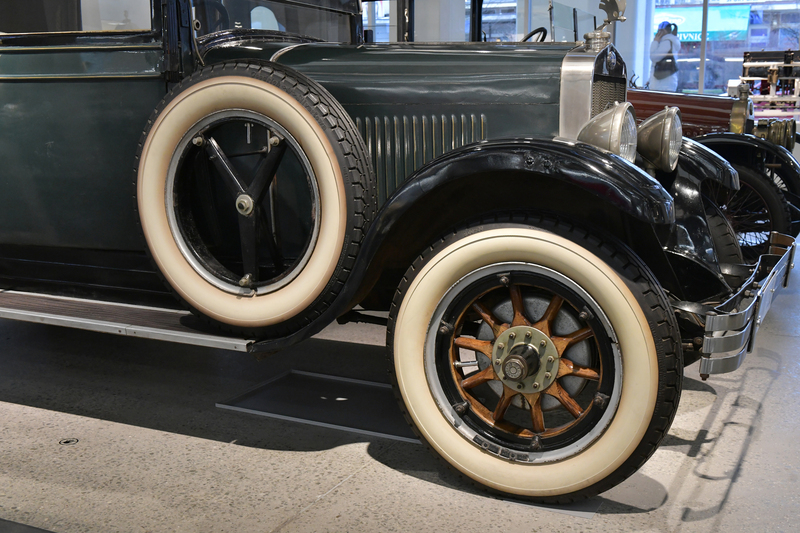 Passenger cars have changed beyond recognition in the more than a century that they have been in existence. 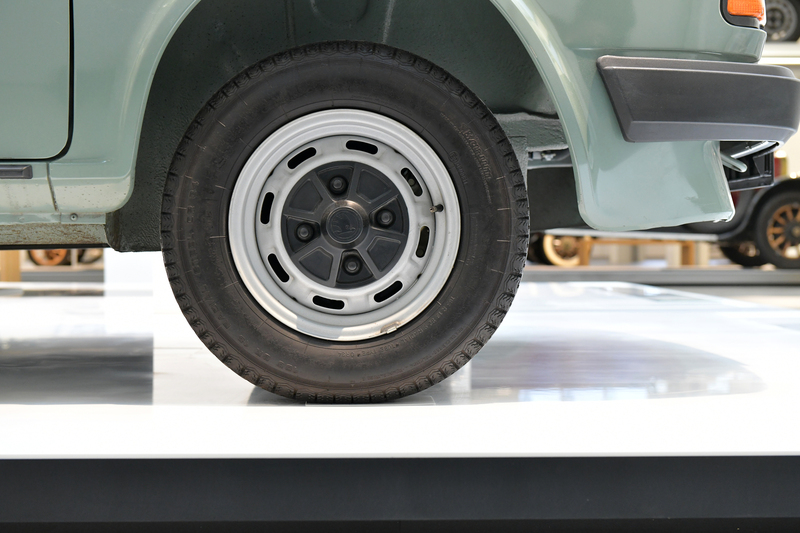 One constant has remained, though – they continue to have 4 wheels. 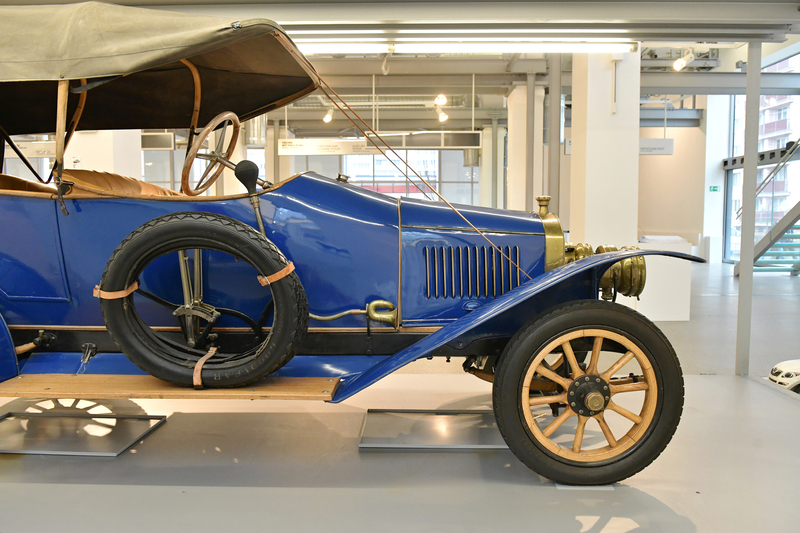 The first car was designed by Václav Laurin and Václav Klement in Mladá Boleslav, the Voiturette A (produced from 1905 to 1910), featured wooden spoke wheels with steel rims that were fitted to the axle with a single central nut. This solution was used until the early 1930s. 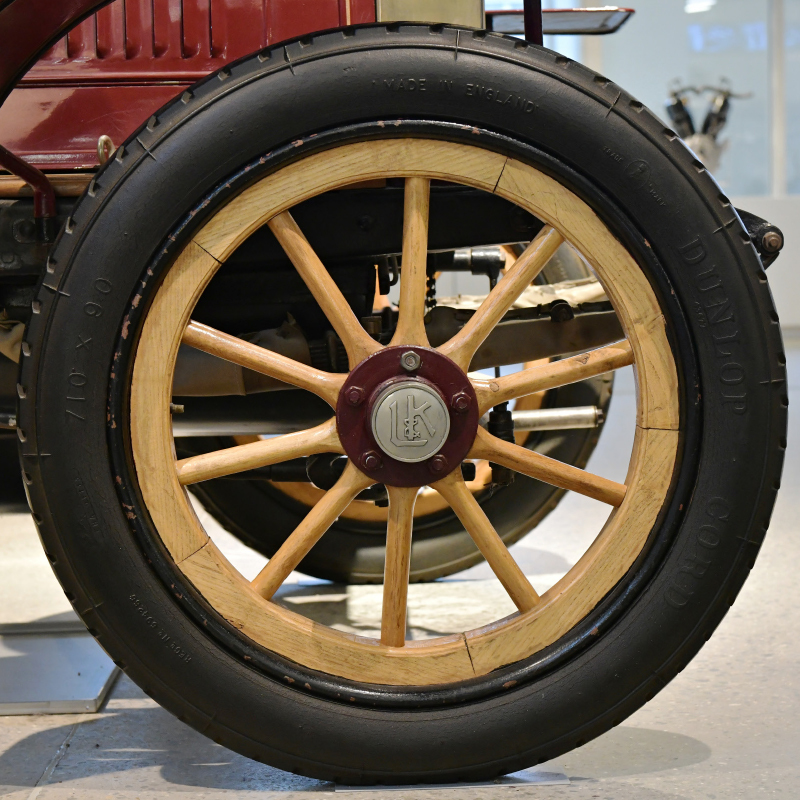 As an optional extra, LAURIN & KLEMENT cars were fitted with Rudge – Whitworth wire wheels imported from England. Punctures were frequent because the road quality was poor. This gave rise to the first spare wheels. 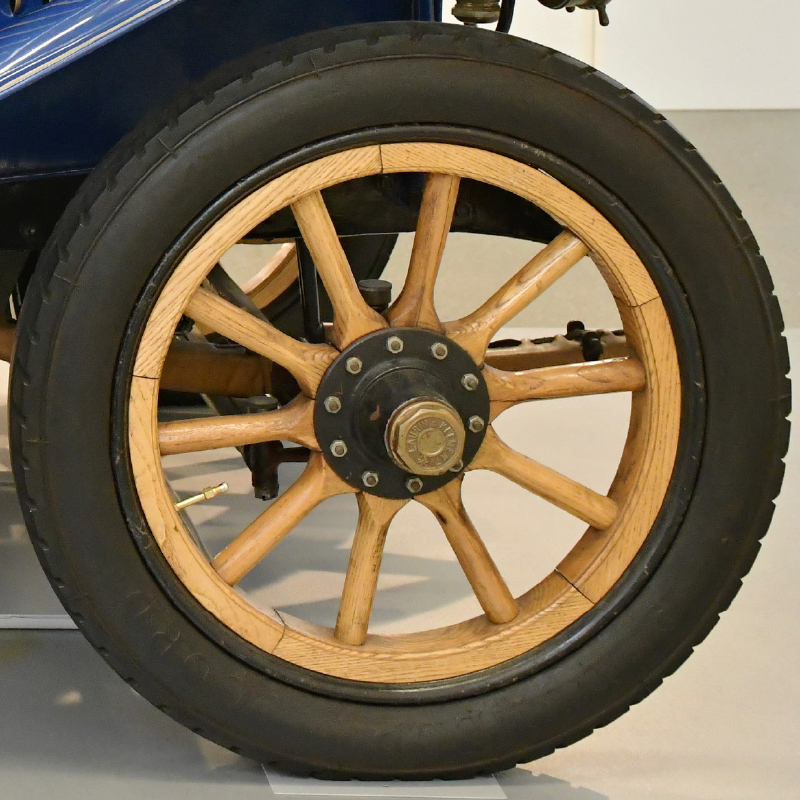 The spare started out as just a tyre and tube, as on this 1911 LAURIN & KLEMENT S.
To increase driver convenience and make wheel replacement simpler, the 1920s saw the arrival of a replaceable rim fastened to the body with six screws along the circumference of the rim, as on this 1929 LAURIN & KLEMENT ŠKODA 110. 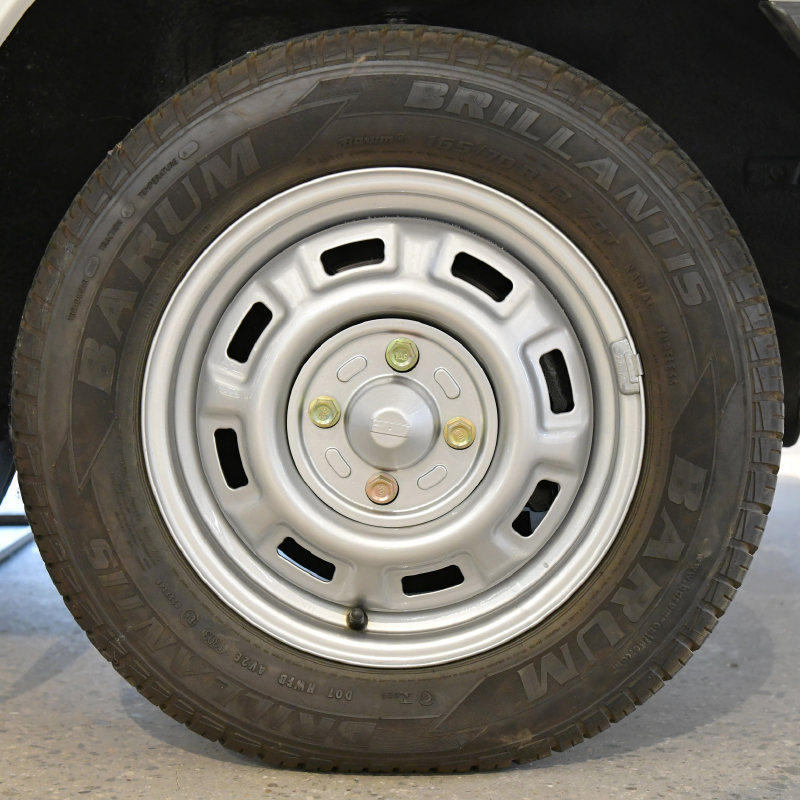 The central part would remain in place and only the rim and tyre would be replaced. 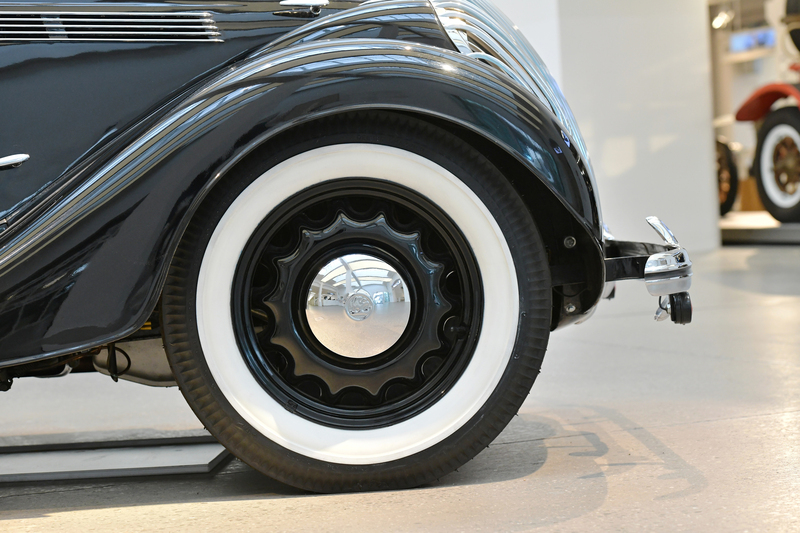 The fashion of smooth pressed metal wheels soon followed, as displayed on this 1930 ŠKODA 645. 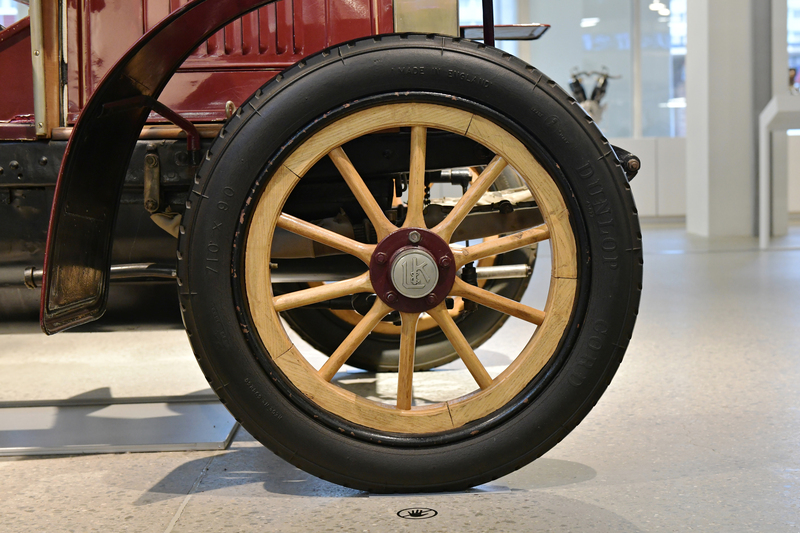 These wheels were mass-produced, which pushed down prices. 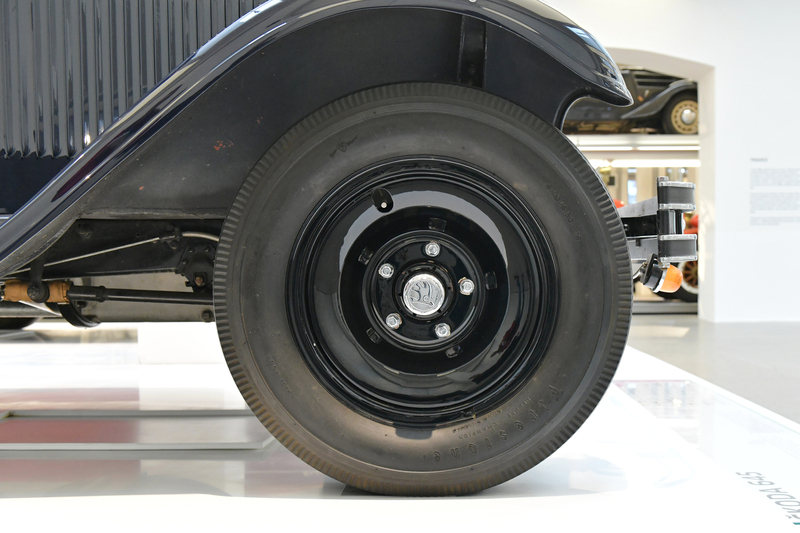 The spare was relocated to the rear, and it became the norm to carry two complete spare wheels (rim, tyre and tube). 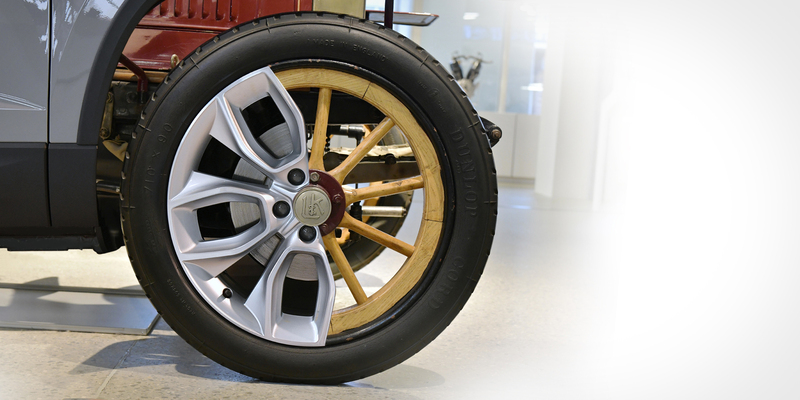 Lightweight spoke-type wheels, often with a white strip on the tyre, became trendy in 1934. The photo shows a 1937 ŠKODA POPULAR MONTE CARLO. 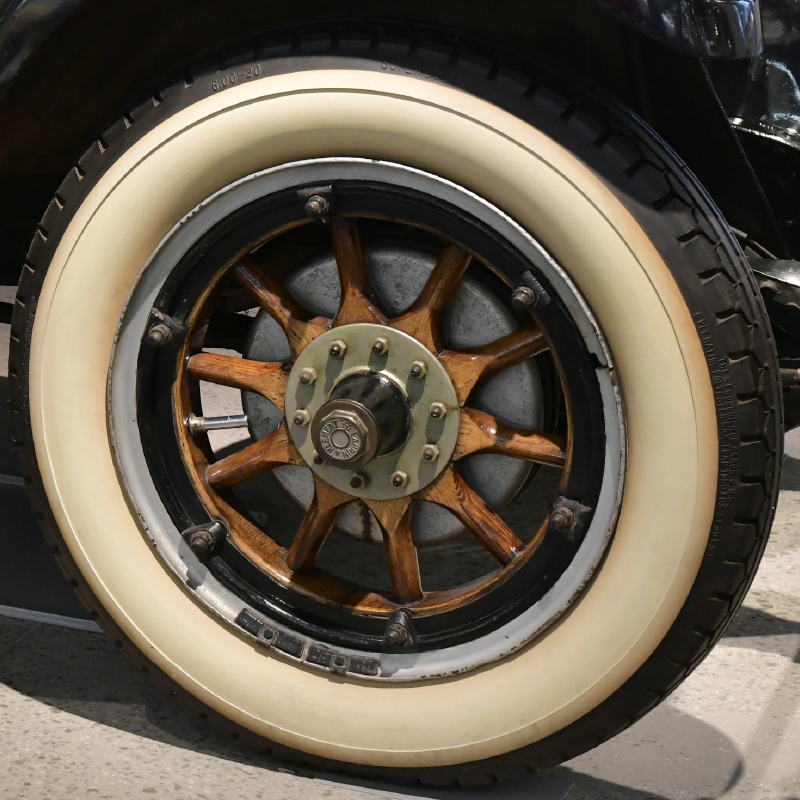 Wheels of this type started to be used on the POPULAR, RAPID, FAVORIT and SUPERB. The popular design survived the World War II and can be found on some post-war models from the 1950s (the ŠKODA 1101 TUDOR and the 1200, 1201 and 1202 lines) and even the 1960s (the ŠKODA 440 SPARTAK and 450). 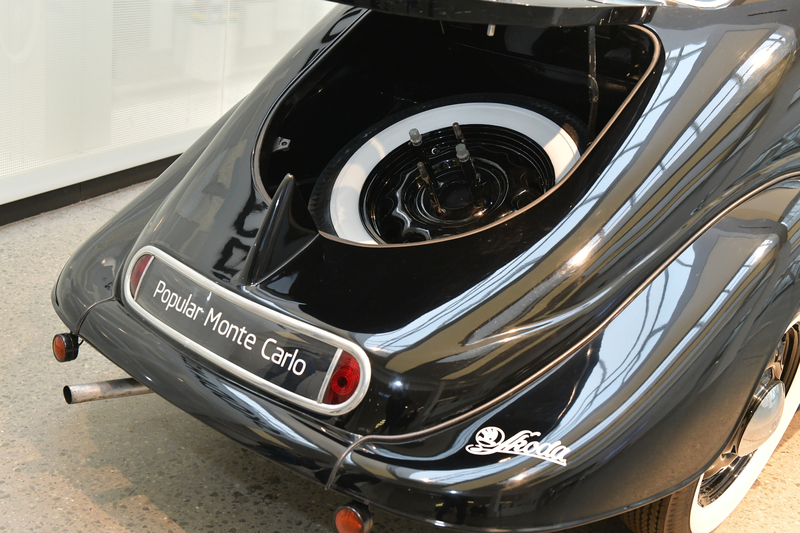 The POPULAR MONTE CARLO’s spare wheel was tucked away in the boot. 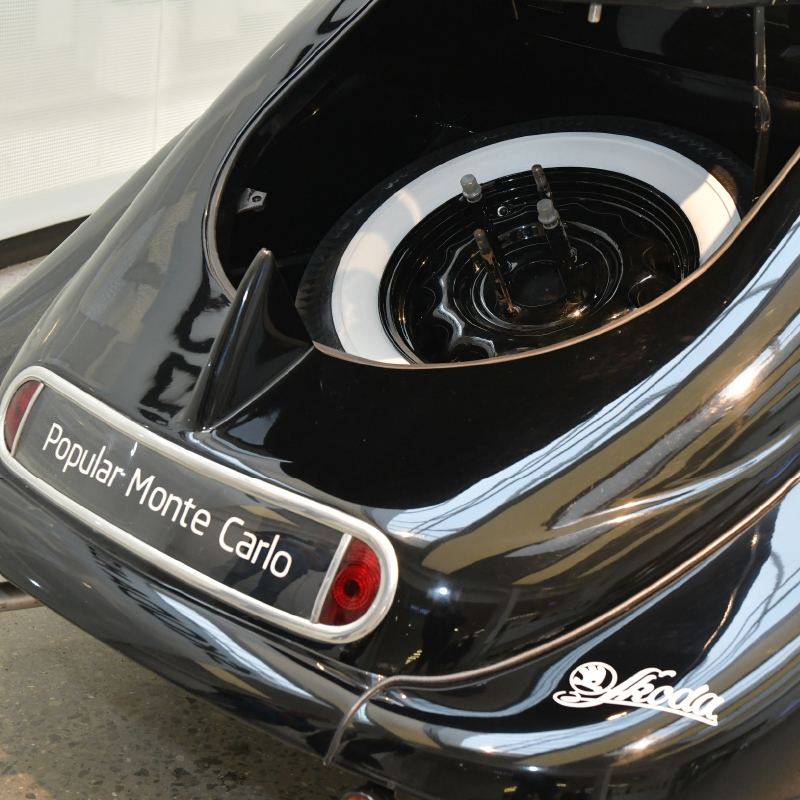 In fact, the luggage compartment was big enough to fit two complete spare wheels as standard. 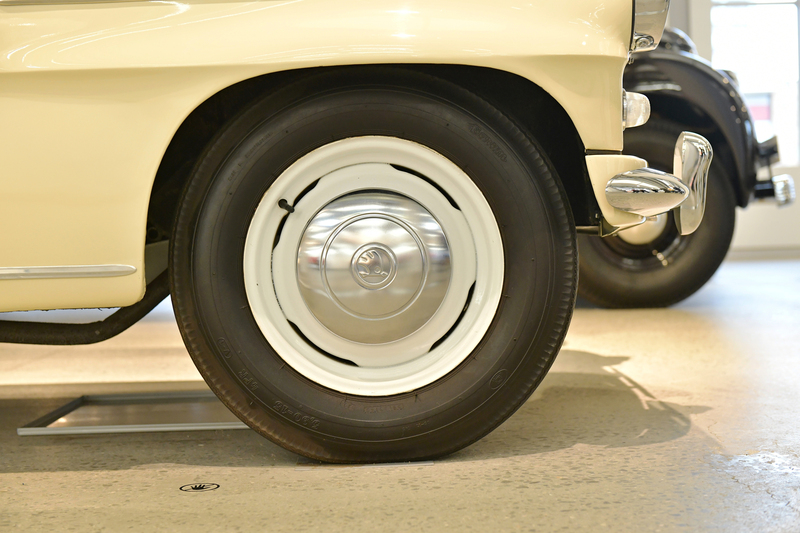 At the turn of the 1960s, ŠKODA launched a new generation of steel wheels, as on the 1960 ŠKODA OCTAVIA 985. 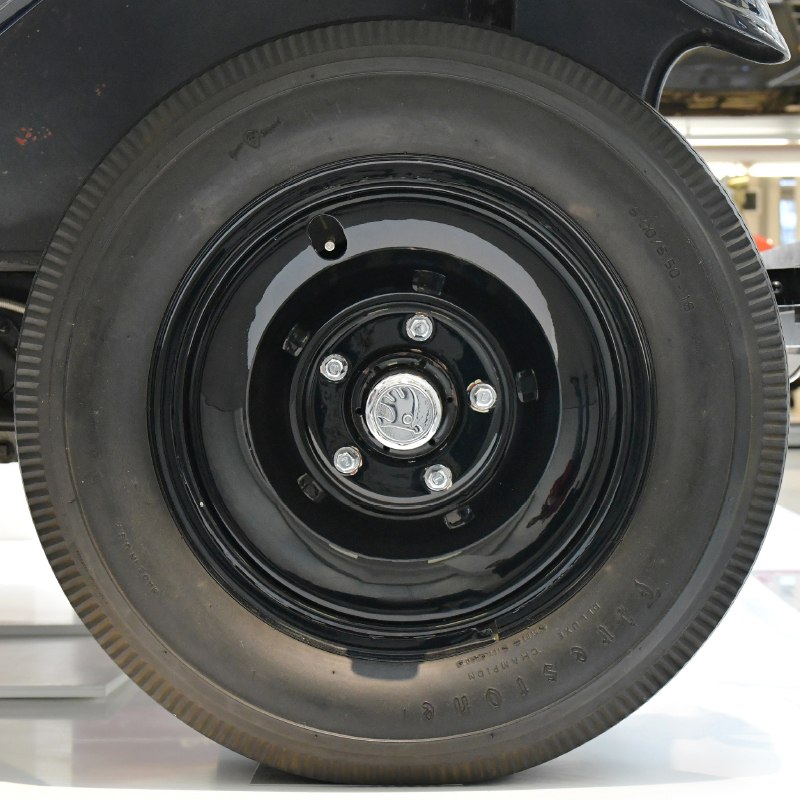 These wheels featured on the OCTAVIA, FELICIA, 1000 MB, 100 and 120 until the late 1970s. 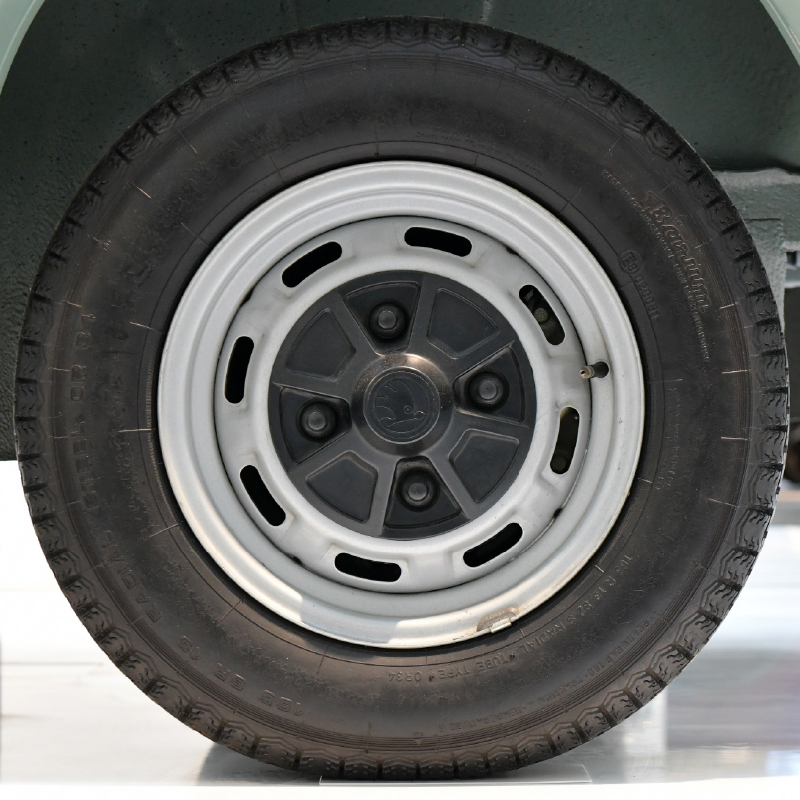 In 1981, the brand launched production of 13-inch steel wheels with vent holes along the circumference of the rim (the photo shows a 1989 ŠKODA 125 L). 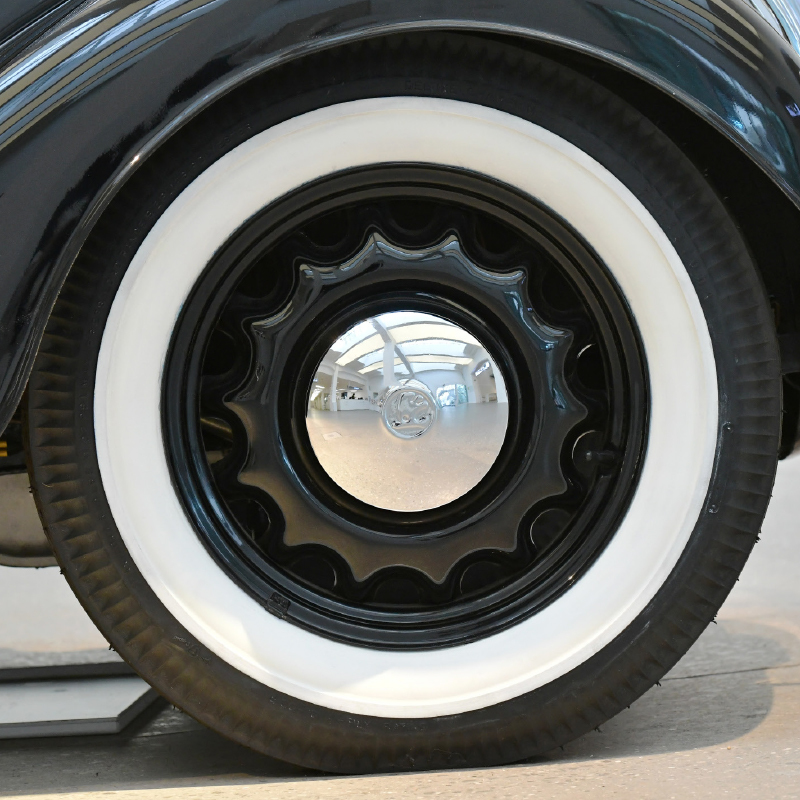 Another innovation was the plastic hub cap. 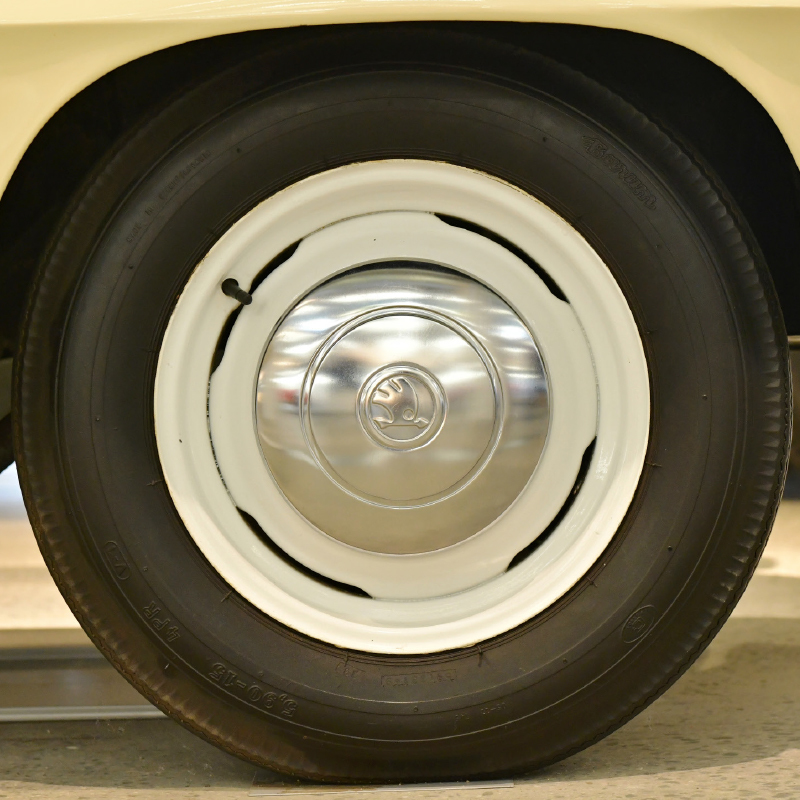 As far as its wheels were concerned, the ŠKODA FAVORIT relied on its predecessors in many respects, including the 13-inch size and the small plastic hub cap. The vent holes, however, became bigger and squarer. 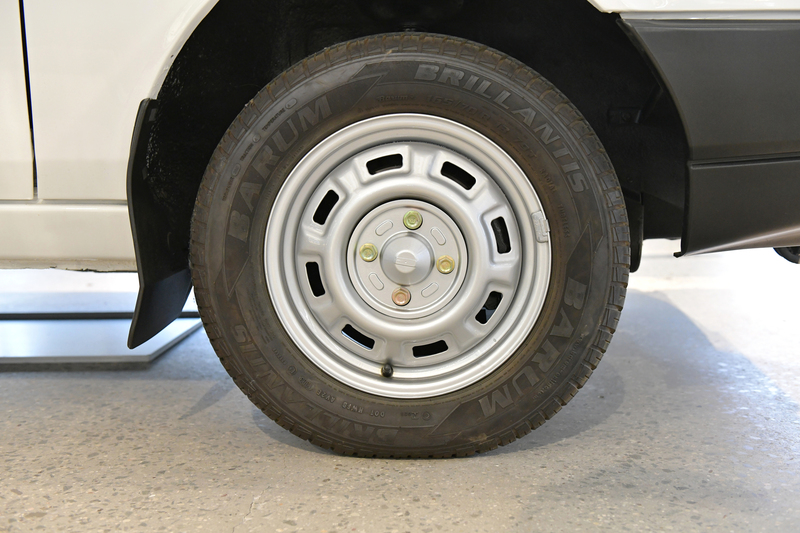 Steel rims came as standard on the FAVORIT, but later on the alloy wheels also became available, either as an optional extra or as part of special editions. Václav Laurin and Václav Klement would be surprised – and astonished as well. 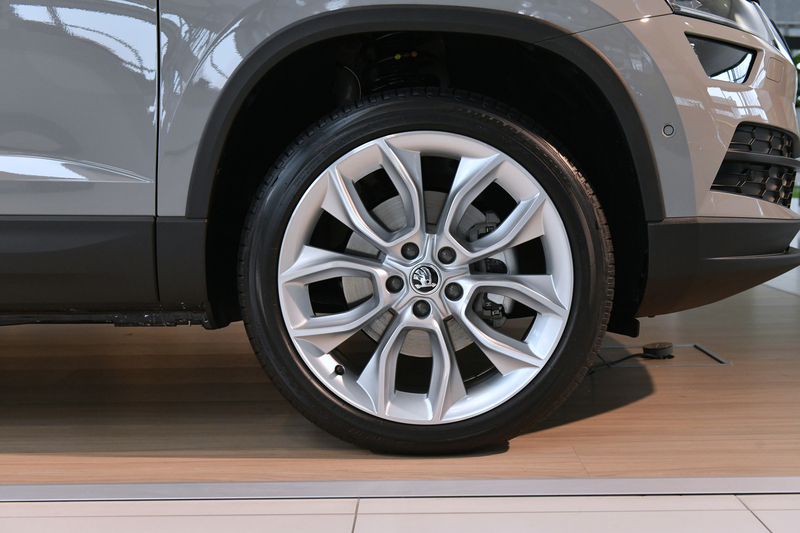 Aluminium wheels dominate the product portfolio of ŠKODA these days and are available in many sizes and amazing designs. 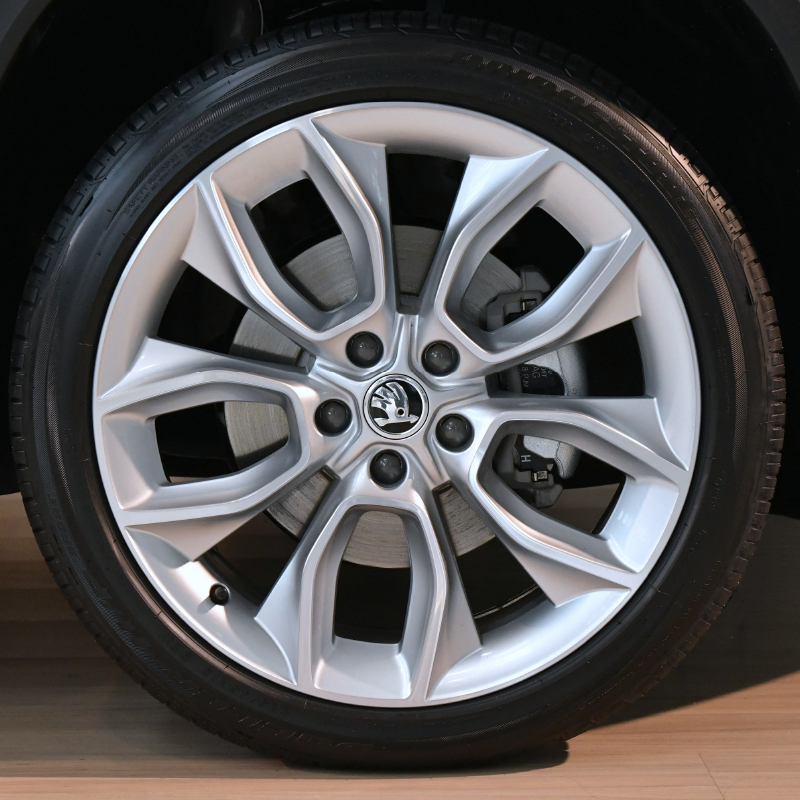 ŠKODA provides alloy wheels for all KAROQ, KODIAQ and SUPERB models. These wheels are also favoured by around 60% of FABIA owners and 70% of CITIGO owners on the Czech market.